In a bitmap-based graphics engine, you can smooth the edges of the tiles either by adding transition tiles (see this article or this article or this article) or by using a blending mask between adjacent tiles. I've also used it to animate the boundary between the ocean and the beach. 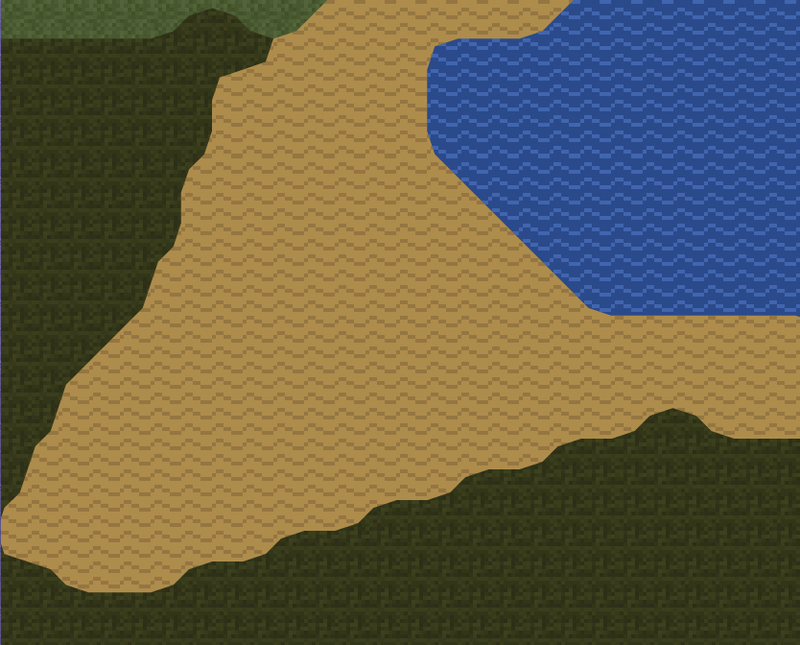 I added vertex displacement to my simple map generator; see the demo (Flash). Try changing the corner setting to adjust how much the corners get moved when three tiles are the same, and the random setting to adjust how much vertices get randomly moved. 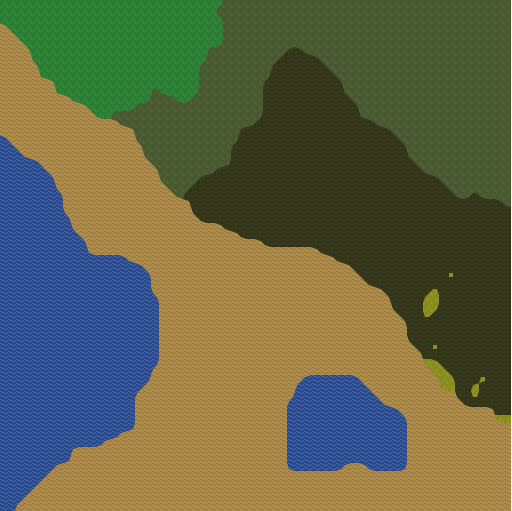 I have a separate demo (also Flash) to show the animated coastline. The technique has its limitations. 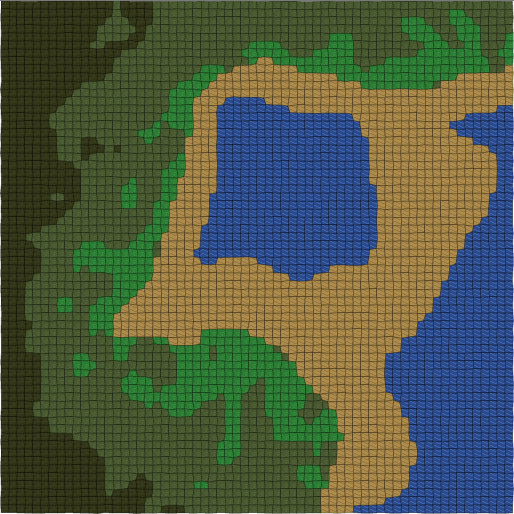 Terrain boundaries that don't fall on a 45° angle look wavy (see example). Some terrain types shouldn't meet in this way. And the biggest limitation is that it only applies when the terrain texture has no major features (such as trees, rocks, etc.). But it's a cheap enough trick that it's worth keeping in my toolbox. Update: [2012-03-30] Also see Marching squares.